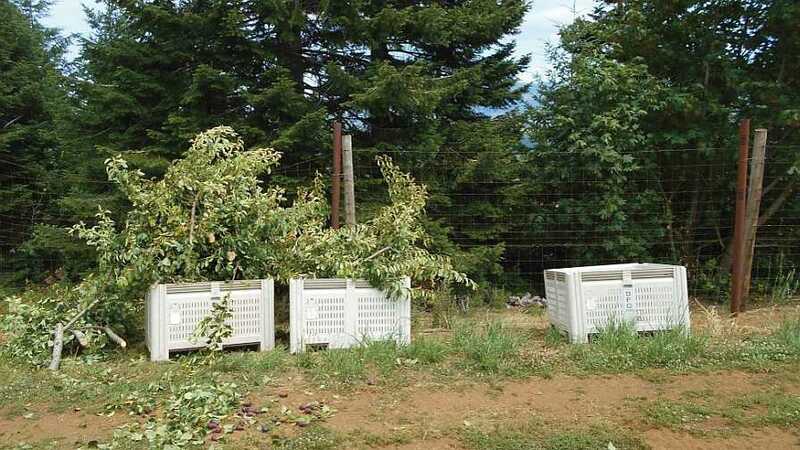 Fire blight bacteria can lay waste to orchards in no time, and 2019 is expected to be an especially bad season. But you do have options to help mitigate the problem. 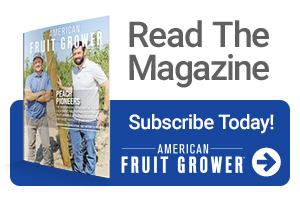 Biological products are one increasingly popular solution for preventing fire blight damage to both conventional and organic crops. These products typically do not treat disease already present, but they can help prevent infection by enhancing the plant’s own immune response. They also provide other benefits such as improving the overall health of the plant — in turn increasing yield and nutritional value — and allowing for more flexible application. Here’s a roundup of some biologicals university researchers have deemed effective against fire blight. LifeGard WG contains a naturally occurring bacterium (Bacillus mycoides isolate J or BmJ) that triggers an induced resistance (IR) response in plants. BmJ does not actually cause plant disease, but plants react to it as if it were a pathogen, activating genes that control production of antimicrobial phytochemicals. When applied just before initial infection, LifeGard primes the plant to respond more quickly to the infection. When disease is already present, LifeGard provides a signal boost that keeps plant defenses up, especially in young, newly emerged and rapidly growing tissues. “In both cases, it is the plant’s own natural defenses that attack the disease-causing pathogens; the IR products simply switch on those defenses,” says Mike Dimock, Vice President of Field Development and Technical Services at Certis USA. LifeGard is most effective when applied just prior to initial infection. For fire blight control, this means early bloom sprays. Later bloom or post-bloom sprays may help in reducing the incidence of shoot blight, where infection moves into woody tissues. LifeGard can be applied with most commonly used ground application equipment, including orchard airblast sprayers and is labeled for aerial application. For effective fire blight control, apply LifeGard at a concentration of 4½ ounces per 100 gallons of water. In this Actigard trial, branches in control trees (left) show much higher incidence of fire blight than trees treated with antibiotics (center) or with Actigard (right). Actigard induces the natural systemic-activated resistance (SAR) response found in many plant species. The SAR response triggers natural defense mechanisms and prepares the plant to protect itself from the fire blight pathogen. Preventative applications should be made targeting the bloom period, 20% bloom through petal fall. These should be followed by applications in combination with antibiotics during periods favorable to fire blight infection. Foliar-applications of Actigard should be made at 2 ounces per acre, either in combination or rotation with an antibiotic. Regalia biofungicide stimulates the plant’s innate ability to fight diseases. It is recommended for use in specialty crops, while Regalia Rx is targeted to broad-acre row crops. Regalia can be used as a stand-alone product, or in rotation with or in combination with other fungicides to strengthen integrated pest management (IPM) programs and to help manage crop resistance. Tim Johnson, Vice President of Field Development and Technical Services at Marrone Bio Innovations, says he recommends stimulating the plant early. He suggests applying before bloom, during early bloom, and then at full bloom. Begin applying Regalia prior to visible disease symptoms, or when disease is first noted, then repeat applications at seven- to 10-day intervals with shorter intervals under higher-pressure situations. Generally, apply 2 quarts of Regalia per acre in rotation with other fungicides, or at 1 quart per acre in a tank mix with another labeled fungicide. The product is rainfast in an hour. Blossom Protect has two equal strains of Aureobasidium pullulans, a yeast-like fungus that is isolated from apple orchards. When fire blight attacks, its pathogen (Erwinia amylovora) grows within the flower as a nonpathogen, eventually causing an extremely infectious disease to develop. 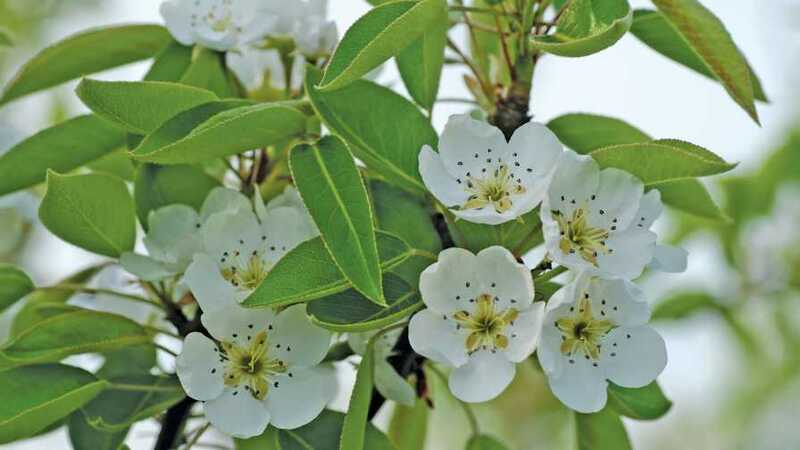 But microbes in Blossom Protect block potential fire blight infection, eliminating the nutrients and available space it requires for infection. Blossom Protect can be applied to tree canopies with conventional spray equipment. Good spray coverage is essential because untreated blossoms are susceptible to disease. Blossom Protect cannot be sprayed on fruit, so its application window is only during bloom, generally at 10%, 40%, 70%, and 90% bloom. 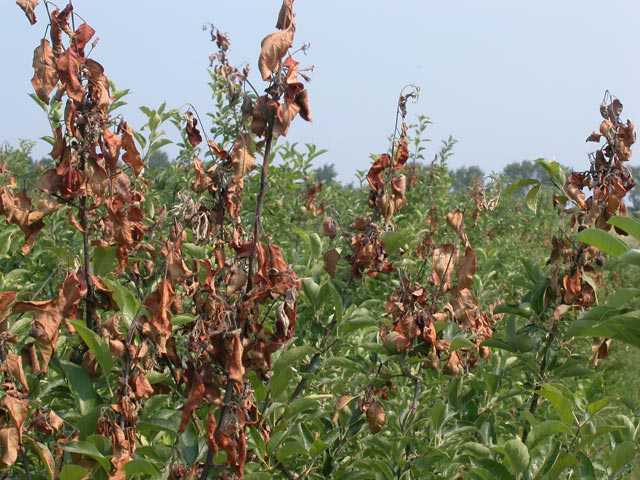 Applications should stop after petal fall to prevent the risk of russet if applied too late. The risk of fire blight infection increases with warm spring rains. Blossom Protect sticks well to plant surfaces but should be reapplied after a downpour. Blossom Protect is always sold with another tank mix component called Buffer Protect, which increases its effectiveness. Buffer Protect is always tank-mixed at a 7:1 ratio with Blossom Protect, respectively, so 20 ounces of Blossom Protect and 140 ounces of Buffer Protect should be applied in 100 gallons per acre. Serenade Opti colonizes pome fruit flowers, like this pear tree, to compete with the fire blight pathogen. Serenade Opti protects plants against fire blight by two mechanisms: direct contact activity on the fire blight pathogen and competitive blossom colonization resulting in exclusion of the fire blight pathogen. Serenade Opti colonizes pome fruit flowers, competing for space and producing more antibacterial chemistries in the flower to stop fire blight. Serenade Opti should be applied as part of an integrated program in rotation or tank mixed with other fire blight products. It works best under low to moderate disease pressure and is safe to apply at flowering with no negative effects on pollinators. Protecting flowers as they open is the best time to apply. Serenade Opti is compatible in tank mixes and with other bactericides including copper and antibiotics. If allowed to dry before rainfall, it is not necessary to reapply, similar to other products. Use as a solo application at 20 ounces per acre, with application volume that provides good coverage. In a tank mix, use at 14 ounces per acre. 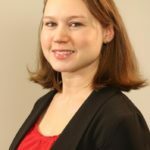 “Each strain of microbe has different properties and capabilities, so knowing the strain in the biological product is important to guide use and get best results,” says Denise Manker, Biologics Technical Support for Bayer.